It has been over a decade since the world was first introduced to George Lucas’ prequel trilogy, detailing the rise and fall of Anakin Skywalker and his transformation into the lethal Darth Vader. Compared to the original trilogy, consisting of Episode IV to VI, the newer more polished films have been met with less acclaim but have still grossed over two billion dollars worldwide since the release of Star Wars: Episode I - The Phantom Menace in 1999. The first of the prequel series, The Phantom Menace, details the origins of the Galactic Republic and the incidents that lead to the training of Skywalker under the tutelage of Obi-Wan Kenobi. 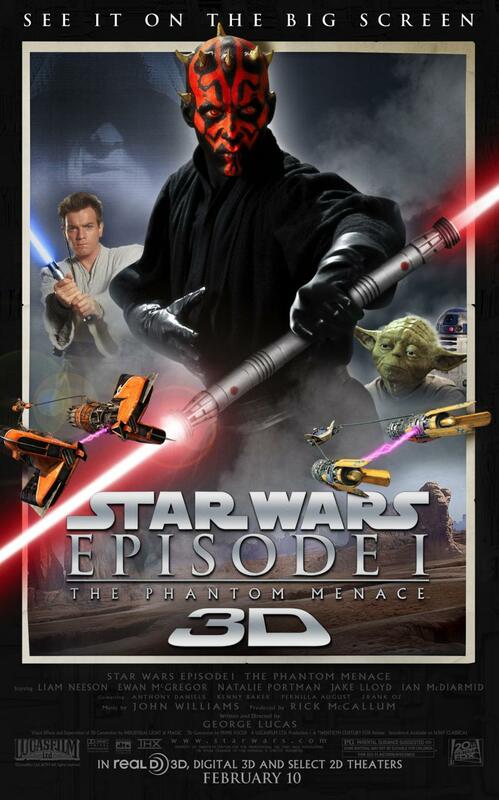 Coinciding with the 35th anniversary of the release of Star Wars IV: A New Hope, Fox has re-distributed Phantom Menace with a shiny new 3D presentation. If you don’t know the premise of any Star Wars films you should consider yourself invalid and not fit to understand contemporary nerd culture. I don’t care if its not ‘your thing’ or ‘you were to young to really understand it’ because there is no excuse for not experiencing the brilliance that George Lucas has created. Sixteen years after the release of Star Wars Episode VI: Return of the Jedi, Episode I follows the events of the crumbling Galactic Republic and the rise of new enemy to the Jedi order. Whilst on a secret mission to the planet of Naboo Jedi Master Qui-Gon Jinn (Liam Neeson) and his apprentice Obi-Wan Kenobi (Ewan McGregor) attempt to rescue Queen Padmé Amidala (Natalie Portman), as she struggles to negotiate a trade blockade on her home. 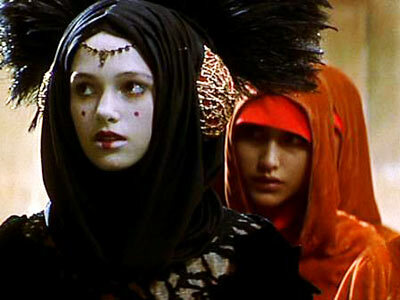 Narrowly escaping an invasion and stranded on the remote Tatooine, Jinn and Amidala are forced to accept the help of the young Anakin Skywalker (Jake Lloyd), who displays an exceptional talent concerning the Force. After repairing his ship, Jim determines that Anakin should be trained as a Jedi and takes him with him, despite Anakin's age and the prevalence of fear in his heart. Meanwhile Amidala attempts to appeal to the Senate for help against the Trade Federation and through inside political intrigue indivertibly starts a chain of events that will change the Republic forever. The burning question we all want answered is of course ‘Should we spend twenty dollars or so (not including popcorn) to go see it in 3D?’ The answer is yes and no. The 3D component is highly effective during several sequences, most notably the pod racing scene, which to this day is phenomenal in terms of CGI and blue screen technology. The light sabre battles and the space combat moments are equally breathtaking, with the ‘third dimension’ adding an entirely new element to an already brilliant cinematic experience. Unfortunately, the 3D does not carry over successfully to the more muted scenes where the definition on Blu-ray is far more suited to the interior shots. The definition has certainly been enhanced for its re-release and the vibrancy of colour and lighting is startling, with the exterior CGI contrasting well with real life action shots. Ultimately though, the outreaching effects of 3D are confined to certain scenes and again this reviewer wonders what all the hype is about? 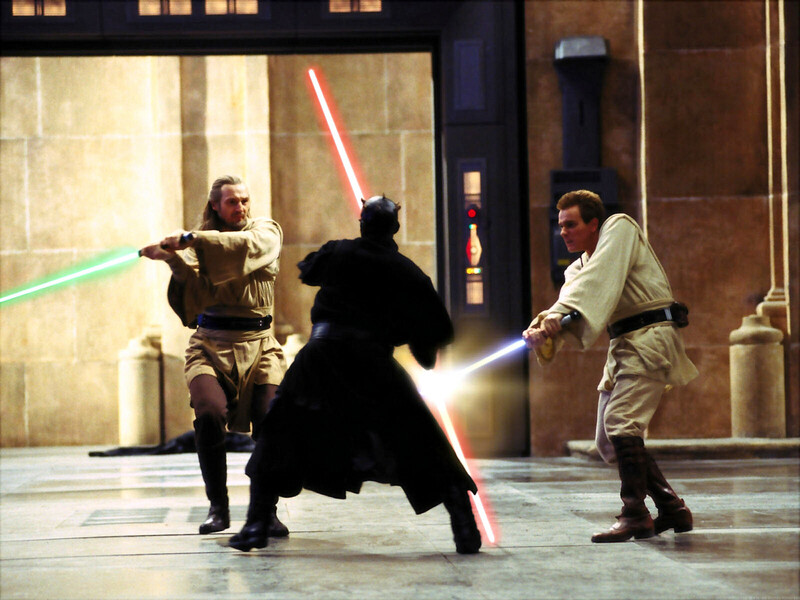 The fact that Star Wars Episode I: The Phantom Menace is not the strongest of Lucas’ two trilogies should not be a deterrent for seeing it in the cinema. Star Wars on the big screen in 2D or 3D is an experience in itself, and is the perfect opportunity to introduce a new generation to one of the most influential film franchises of all time. Everyone at the very least needs to feel the thrill of John Williams’ booming score as the opening credits scroll by and at that point you should be hooked. This release will have die-hard fans (this reviewer included) melting into a puddle of bliss and will definitely herald in a fresh crowd of followers. 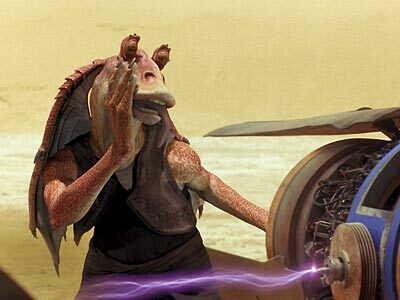 NOTE: Jar Jar Binks is still annoying and will forever go down in history as Lucas’ biggest mistake.